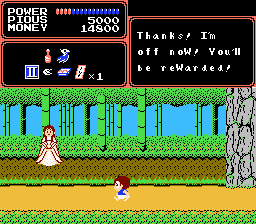 Youkai Douchuuki is an action platformer game for the Nintendo Entertainment System. 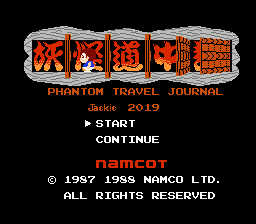 English localization for “Youkai Douchuuki” for the Famicom. The patch translates most of the text and graphics in the game and a full upper and lowercase font was added. In certain instances, the author was forced to use “double letter tiles” as the game has a very strict character limit per dialog but these are kept to a minimum.